Whether or not frozen food is safe to eat after a power outage—or when a freezer has ceased to work—depends on how long it has been defrosted and whether it has reached room temperature levels. Foods can only be kept safely at warmer than 40 F for a couple of hours. Any longer than that and foods should be discarded. When the power goes out, the first thing you should do is inquire from your local utility company as to how long they expect the power to be out. If it's expected to be out only for up to a few hours, there's no fear of losing or wasting that food. Merely avoid opening the freezer door or do it quickly to retrieve what you need. When power is restored, check your freezer to ensure that it started up with no problem. Most freezers will resume operation without a problem once power is restored. As for extended power outages (or when a freezer is unplugged during a long distance move), foods in your freezer will usually stay frozen for more than a day. How long depends on several factors, such as your home's temperature, whether foods are soft or hard frozen, and how full the freezer is. It's not unusual for freezer foods to stay frozen for up to two days in a chest freezer that is full. A freezer that is mostly empty will not provide as much protection to keep foods frozen. The quality of insulation in the freezer walls will also affect how long foods will stay frozen when the freezer is unplugged. 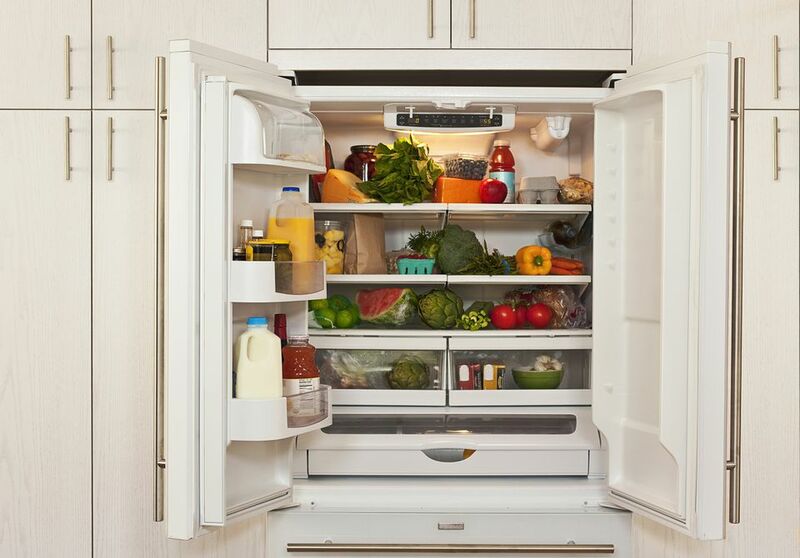 Keep in mind that every time the door is opened, warm air is allowed in, causing foods to thaw more quickly. When a power outage is expected to last several days or your freezer quits and you must wait to shop for a replacement, you'll need to seek another way to keep food frozen. You might be able to store some in a family or friend's freezer until power is restored or you buy a new unit. A generator can come in handy during a power outage, to keep some essential appliances going. Keep in mind that generators have limitations as to what they can keep running, so you may have to make priority decisions as to heating, cooling and/or refrigerator or freezer hook-up. Gas-fueled generators should be operated outdoors only, connecting to an appliance via an appropriately-rated and UL certified extension cord. If storing freezer foods elsewhere is not an option, you will have to decide which foods should be cooked/processed first in order to reduce food waste as much as possible. Frozen fruits could be processed into jams, jellies or preserves and home canned to enjoy later. Though texture and color are not always the best when vegetables have been frozen before canning, this may also be a viable option. Cook meats, fish, and poultry that cannot immediately be consumed. These can be either kept refrigerated for a couple of days or be once again frozen, once they have been cooked. If food has thawed or there's any doubt as to the freshness of items, it's best to discard.